Hey guys! I am here today, as promised, with a selection of colors from the BB Couture Men collection "Men on Film". This is a really cool collection of matte colors! I really love matte polishes because of their versatility since you can choose to wear as-is, or add a shiny top coat, of course! Road Warrior is your fairly standard black matte polish. I like this well enough but I can't think of much to say about it. It dried fairly quickly so you need to be quick when applying it to avoid streaking. 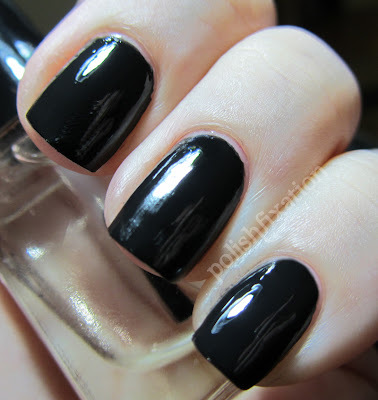 I really love this one with the topcoat more than matte, love the richness of the black! Blade Runner is like Road Warrior's shimmery cousin. It's a black matte but with a silvery shimmer throughout. 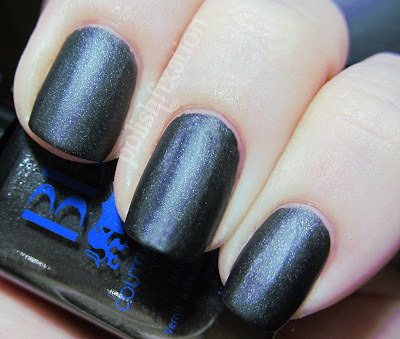 It looks great matte, but the shimmer really pops when you apply the shiny top coat to it. Either way you decide to wear it, this is a great color! Top Gun is a navy/royal blue matte with silvery shimmer throughout. It was a little hard to apply because of the fast drying time. 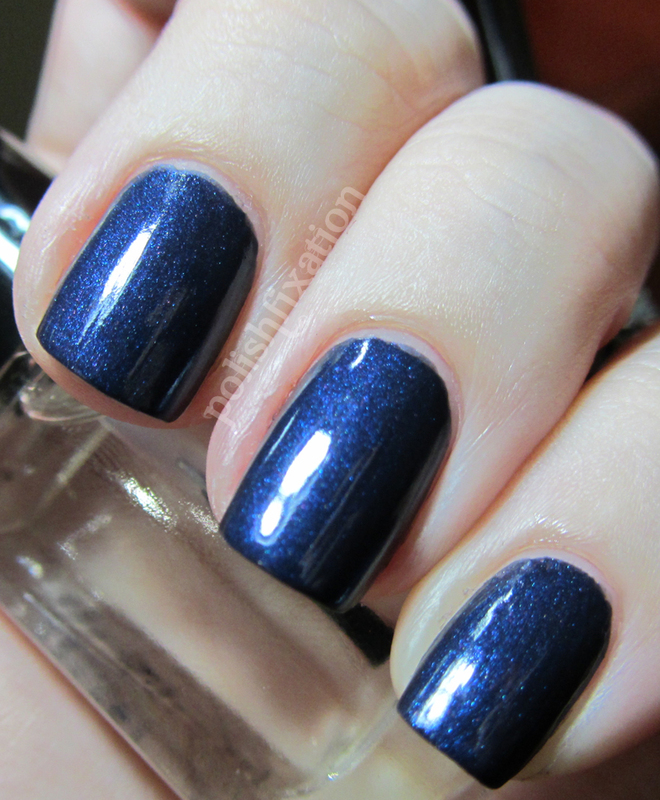 Other than that I really like this polish and I think it's completely brilliant with top coat! 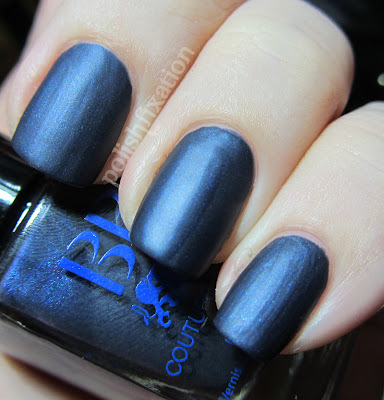 Overall I think this is a really cool collection of matte polishes! I really am in love with the 2 shimmery ones especially. I'm excited to get the rest of this collection when it is available. What do you think of this collection? Do you prefer them shiny or matte? I really like Blade Runner with a top coat, very pretty! I love Top Gun with the top coat! wow it just shines!